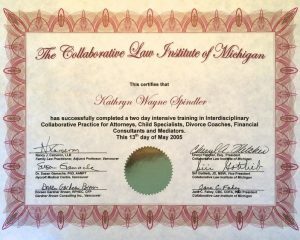 When you need a lawyer in Michigan, especially for matters involving family, you want someone who will listen and be supportively compassionate. 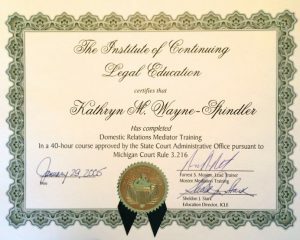 Depending on your circumstance, you might also need someone to be aggressively capable on your behalf in the courtroom. Kathryn M Wayne Spindler is your best-of-both-worlds attorney. 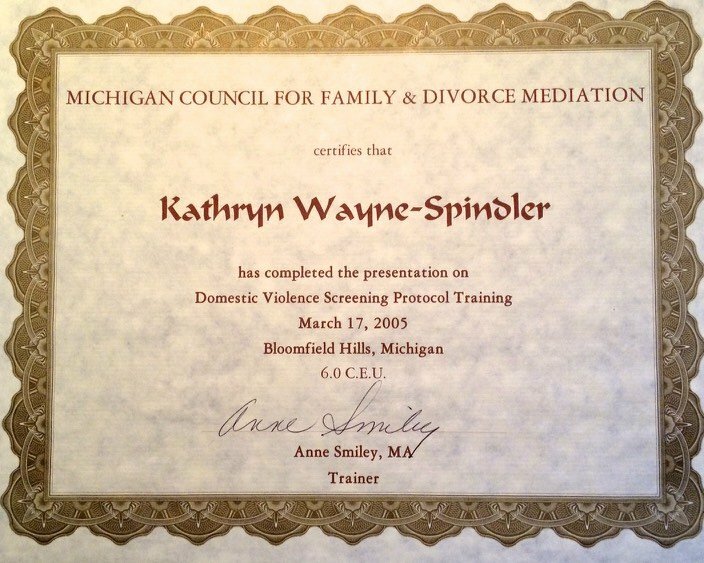 Kathryn M Wayne Spindler is friendly, accessible and genuinely takes an interest in her clients’ welfare. She and her entire staff, strive to provide stability and security when you’re going through a confusing or stressful life experience. 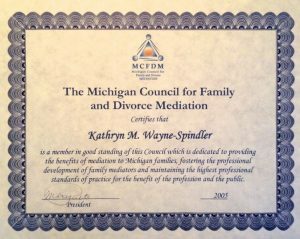 Part of what keeps Kathryn M Wayne Spindler focused on the compassionate side of her profession, is her own family. She and her husband have two children. Her attention to their education, health, safety and happiness remind her daily of the issues and struggles that are common to all families. This awareness impacts all realms of her career. Whether it’s helping grandparents set up a trust to provide for their grandchildren or counseling couples seeking to adopt, she knows the importance of family in its many forms. 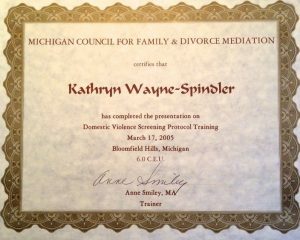 Since 1998, when Kathryn M Wayne Spindler opened her own practice, she has been helping her clients achieve their best legal outcomes. 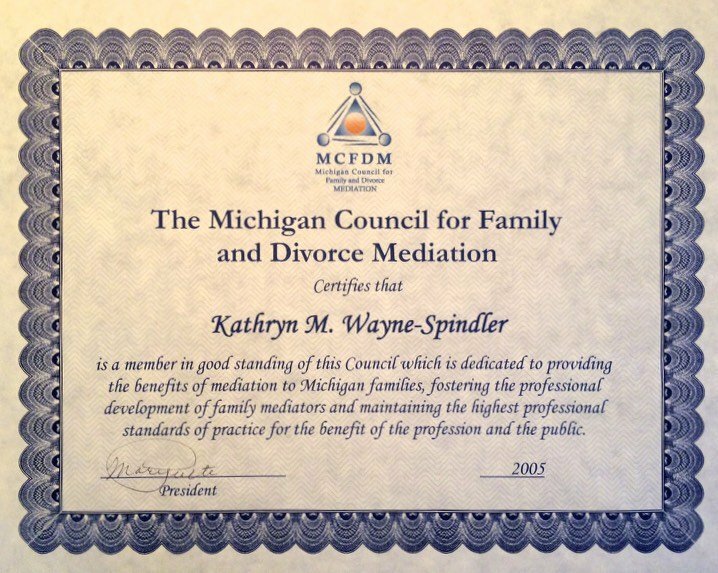 Sometimes in divorce, the best result can come from competent mediation. Kathryn M Wayne Spindler can discuss these options when you meet. 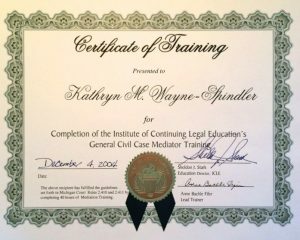 Should you decide to pursue this route, Kathryn M Wayne Spindler is a talented and effective mediator. 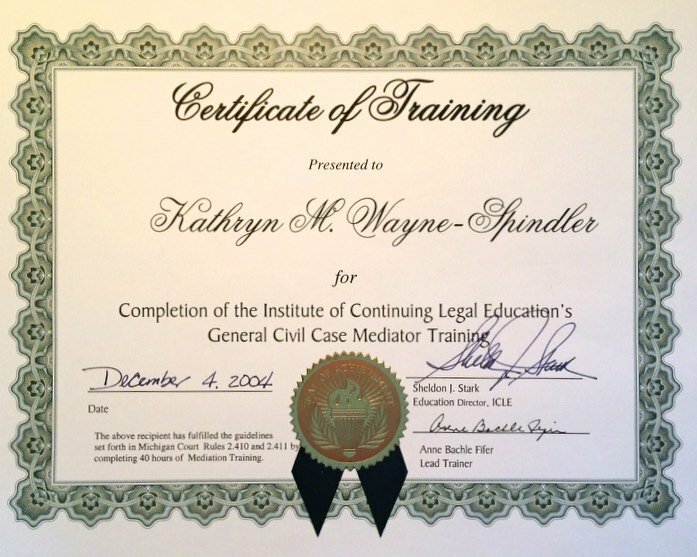 Kathryn is a truly passionate and experienced litigator, who has spent 20 years thriving in the courthouse. 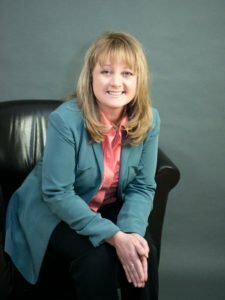 She is comfortable there – confidently, consistently, professionally fighting for her clients. 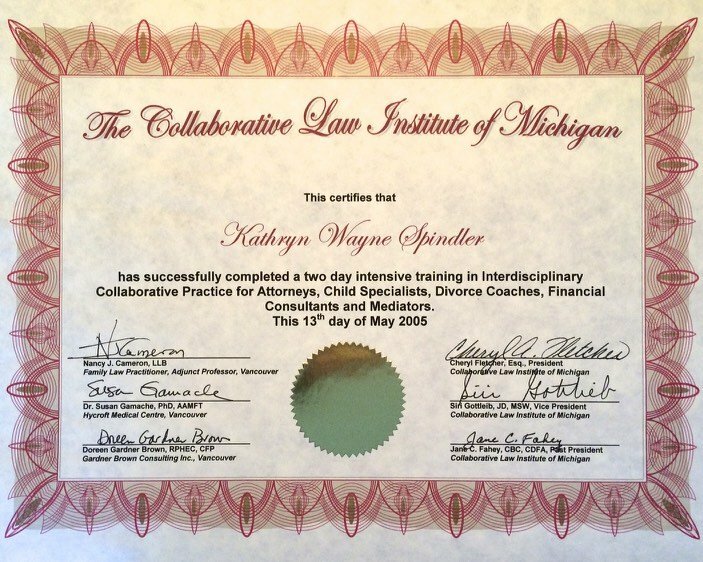 Kathryn and her associates will handle your legal situation so you can concentrate on your loved ones. Call today at 248-676-1000.